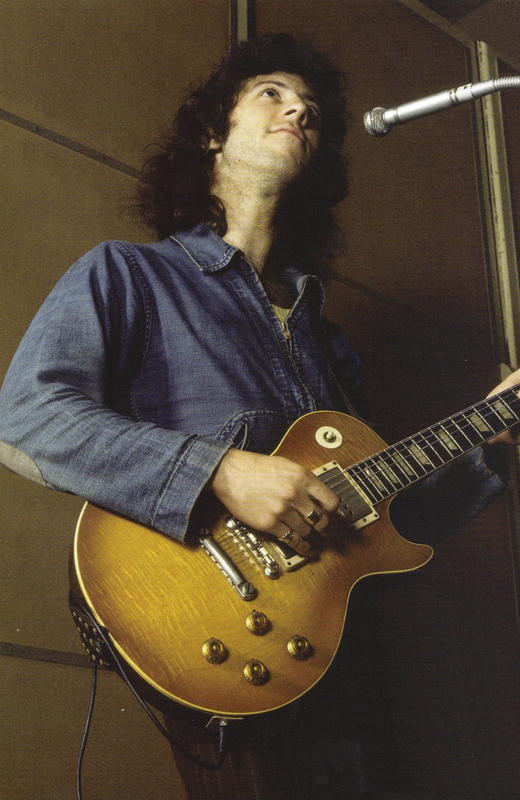 Peter Green emerged from the British Blues boom of the late 1960s, spending some time as Eric Clapton’s replacement in John Mayall’s Blues Breakers before founding Fleetwood Mac. His original lineup, before the band rose to massive pop star acclaim in the 1970s, was revered as one of the best blues and rock bands of its time. Along with its reputation for amazing guitar-driven live performances, The Mac also penned some of the most memorable blues and rock songs of the era. A few such songs include "The Green Manalishi," "Oh Well," and, of course, "Black Magic Woman"—a tune that also became a big hit for Carlos Santana. Green's guitar style was a nod to blues greats like B.B. King, Buddy Guy, and T-Bone Walker, but with its own unique flavor. Drenched in soul, taste, and feel, Green's playing is amplified primarily by his '59 Gibson Les Paul (affectionately known as "Greenie") pumped through cranked-up Fender amps. The now-legendary Greenie—which was later owned by Gary Moore and now belongs to Kirk Hammett of Metallica—is an especially unique piece of music history because of its "out of phase" pickup configuration (with the neck pickup installed backwards) that came to define Green's tone and, later, Fleetwood Mac's sound. How exactly the pickup came to be configured in such an odd way is shrouded in mystery. Green says that he installed it backwards himself, others tell a story of an accident by a guitar repair man. Lately, due to the fact that Joe Bonamassa owns a similar Les Paul from the same era with the same pickup configuration, some theorize that the funky setup was actually a factory mistake. Whatever the story, the "out of phase" sound is now legendary among guitar and Fleetwood Mac enthusiasts. Green has such a wide arsenal of licks to choose from that I decided to focus on a few that caught my ear and could be explained through a lesson. A big part of Green's sound is his tone and feel, and I believe that learning some of these licks will inspire your playing, giving you inventive ideas for your leads.